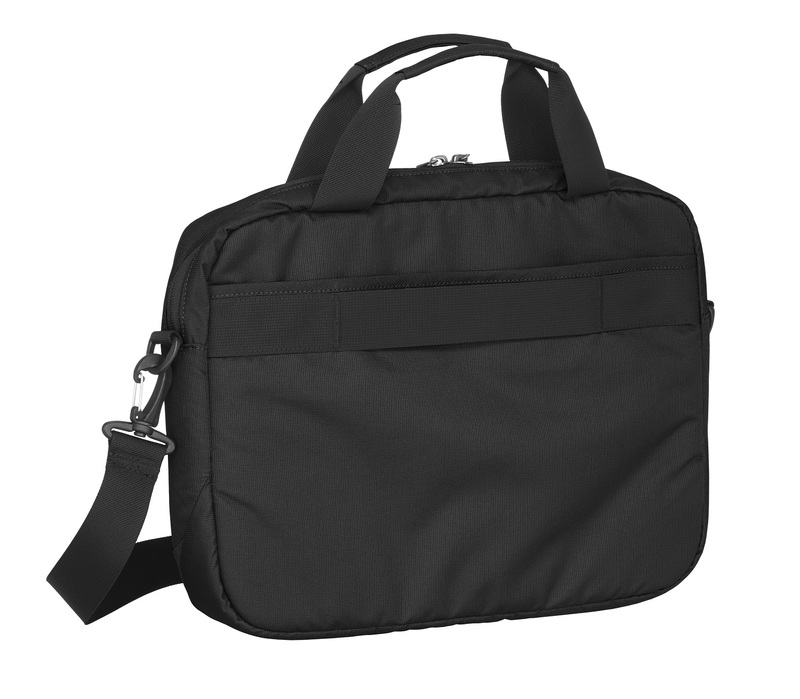 4 Compartment with 3 Zipper + 1 at back for documents. 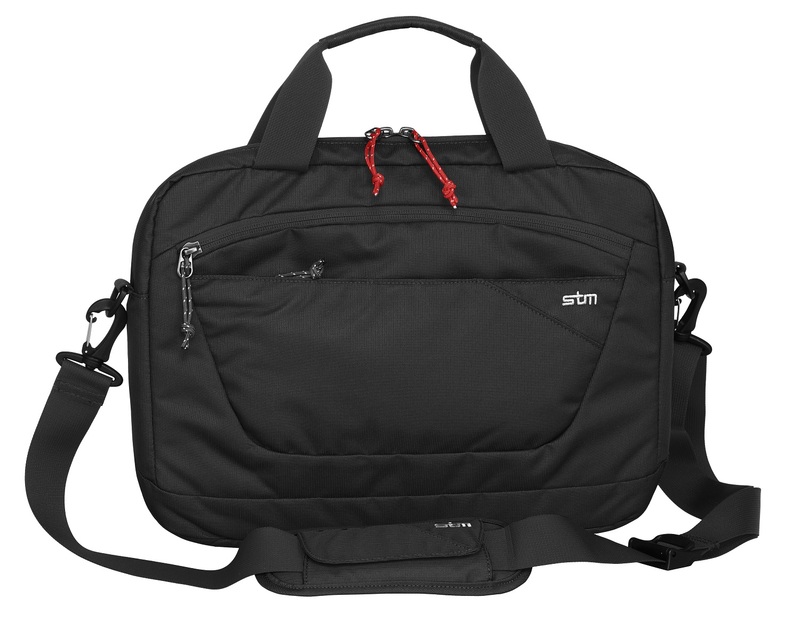 The Stm swift laptop brief bag is a sleek Messenger bag that fits all 13" MacBook machines. 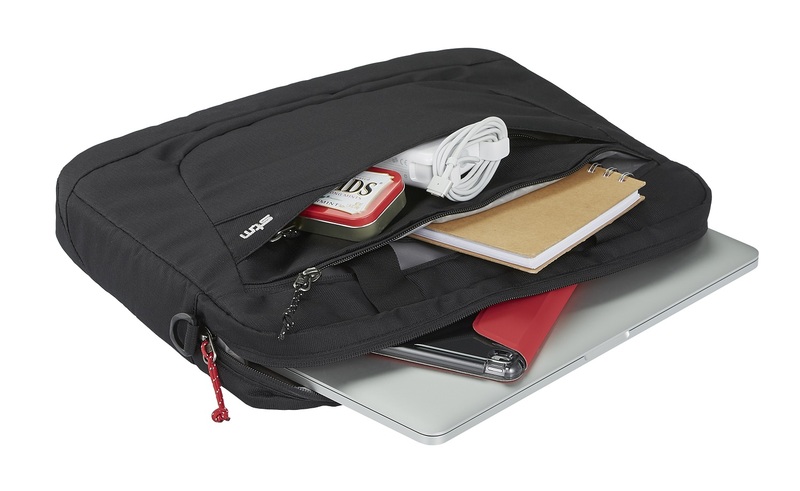 Its a well-designed bag with a total of 4 compartments out of which 3 are Zipper compartment's (1 large laptop compartment, 1 secondary compartment, 1 utility compartment). 1 compartment is at the back which is designed to carry your Document's. Its also has a Rear Strap to Fix on your Trolley luggage hence making it easy to carry. The bag comes with a Removable strap which enables the bag to use as a Sleeve too. 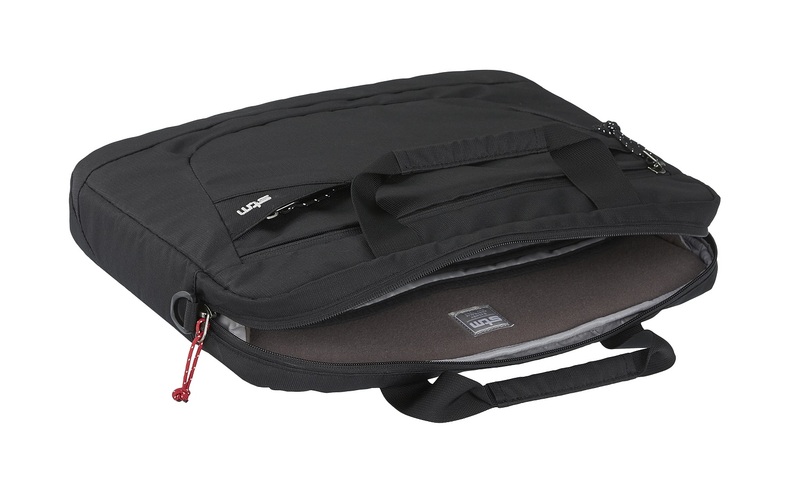 The Bag also has Sling Tech System – A Padded Sling that Suspends Your Devices From The Bag's Floor, And The Bottom Corners Are Wrapped In Additional Padding For The Ultimate In Digital Gear Protection.